We are delighted to return to the Edinburgh International Conference Centre for the fifth time, an outstanding venue in the heart of the city, within easy walking distance of Haymarket train station. The main entrance brings you into the Strathblane hall where registration and the exhibition stands await you. The morning and evening sessions will take place in the Pentland Suite which is a comfortable environment seating 1,200 delegates. Again in 2019, the lower level Cromdale Hall will be transformed into an interactive space for prayer, peace and reflection. Information about the EICC, including disabled access, transport links, local hotels and restaurants can be found on the EICC website. There are a wide range of options within a 5 minute walk from the EICC, ranging from the economical Premier Inn Hub on Torphichen street to the luxury of the Sheraton in festival square. Click here for Tripadvisor's recommendations. We've secured a special B&B rate at the Leonardo Royal Hotel. Please use promotion code LHWOMA020319 when you book online to get a single room for £99 or a twin for £109 B&B per night. There are a limited number of rooms available at this price, so please book quickly to avoid disappointment!  Women Walking with God was established to run a national Bible teaching and worship conference for women of all ages and backgrounds. If you can't find the answer on the website, then please get in touch! Our contact page also includes a list of frequently asked questions.